Reconnecting with family and creating lifelong memories are the hallmarks of a family cruise vacation. No matter where your Celebrity Cruises journey takes you, innovative and interactive onboard programs enrich cruises to the Alaskan wilderness and Caribbean islands, perfectly designed to bring you and your loved ones closer together at sea. 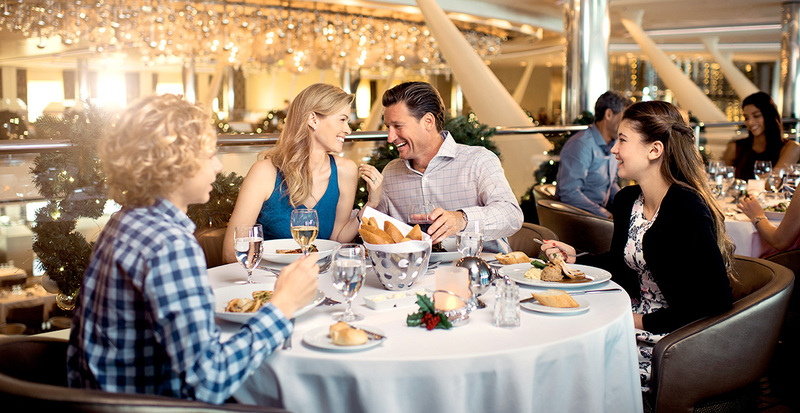 Let us help you find these moments of togetherness on each and every voyage. 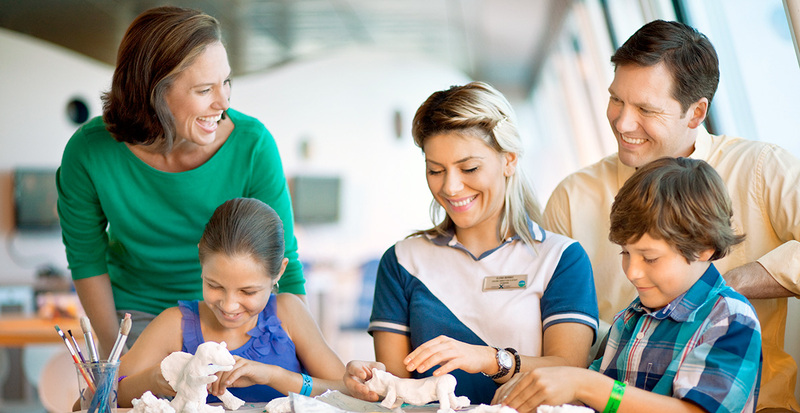 Thoughtfully designed for every age, a bounty of activities and inclusive kids’ club entertainment create a carefree environment from the moment you step on board to your last meal together at sea. Create the perfect photo op as you sink your toes into a half acre of real grass at the Lawn Club, matching up against kids in classic country club competitions like croquet and bocce. Craving time at the spa or casino? Trust that your kids are well taken care of at organized children’s clubs. Perhaps they’ll tap into their inner artist creating hand-painted masterpieces or kick back at one of the largest Xbox experiences at sea. Unexpected moments of togetherness exist throughout the ship, from cozy library nooks to the Hideaway’s treehouse-style lounge where you can cuddle up in two raised “nests,” shaded by a living tree. Your whole family will be talking about the evening entertainment for years to come. Little ones will be intrigued by the illusions during iMagic while sophisticated movie buffs will reminisce over the magic of the silver screen at iHollywood. 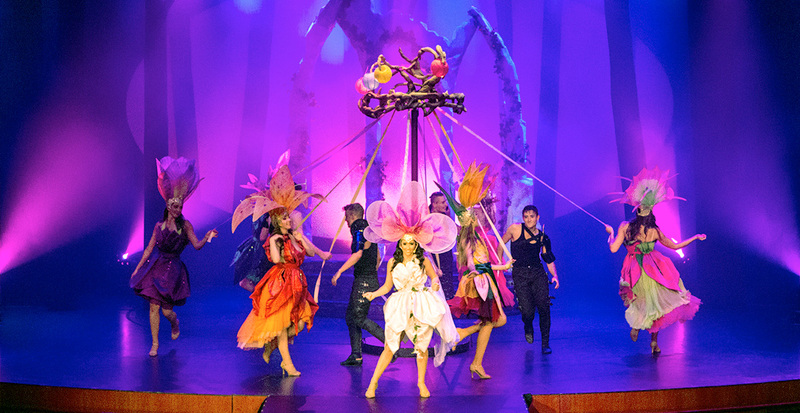 Or, enjoy a night on the town at Elyria, an adults-only fashion-forward fairytale show. Break bread every evening as you reconnect and recount the day’s adventures. Your options extend from the Main Restaurant to specialty dining, allowing you to sit down to cuisine crafted for every appetite, from kid’s favorites to creative, contemporary dishes. 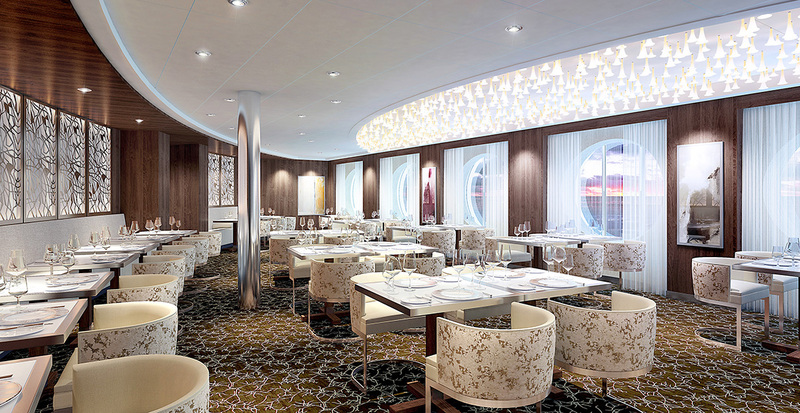 Suite Class guests are treated to exclusive dining at Luminae. Indulge in a cosmopolitan parade of sophisticated dishes like caviar with crème fraîche and truffle risotto. 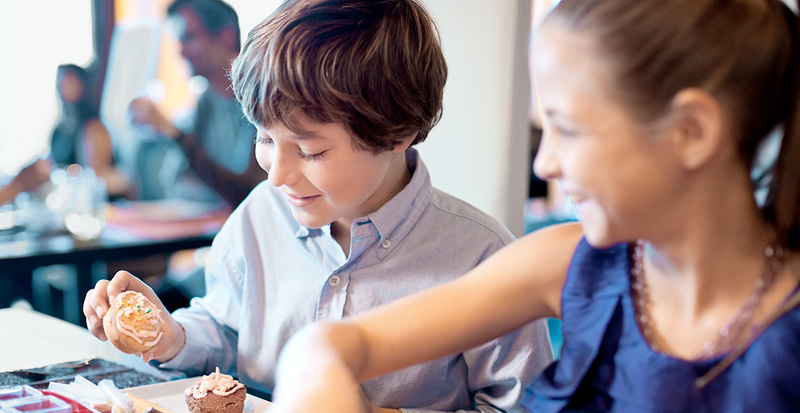 Mealtime at Qsine is playful from start to finish, beginning with iPad menus and finishing with a cupcake kit that lets kids frost and decorate their own desserts. Want to take your gustatory adventure a step beyond the standard dining experience? 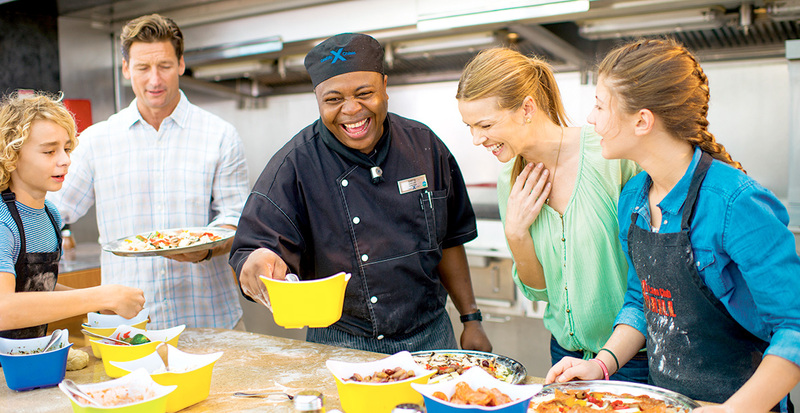 Celebrity Cruises offers hands-on culinary activities for those young and young at heart. Cater to everyone’s inner chef with special culinary programming. 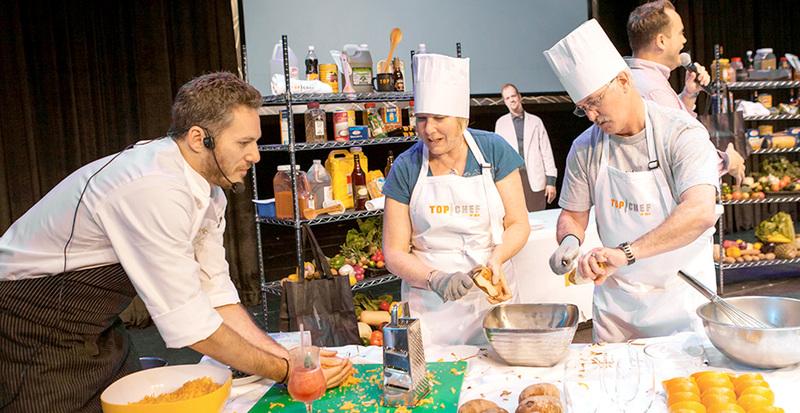 Celebrity Cruises’ exclusive Top Chef at Sea experience brings familiar faces to life with cook-offs between celebrity chefs and your own Top Chef at Sea Quickfire Challenge. Even join a celebrity “cheftestant” on a shore excursion for a taste of your destination’s local flavor. 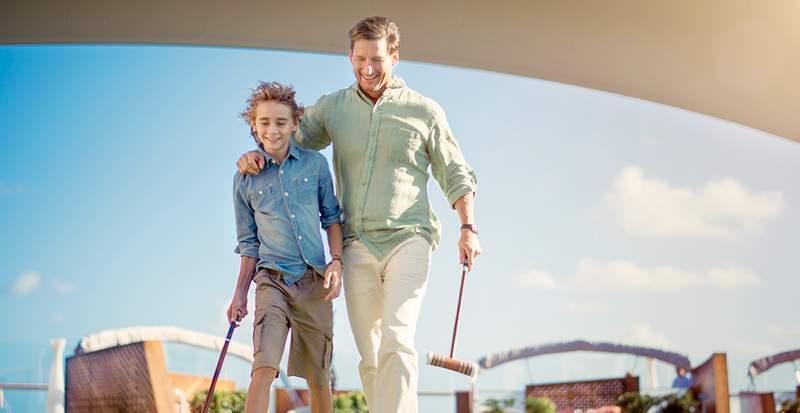 Take your picnic lunch al fresco or become the family grill master at the Lawn Club Grill. You can even pass the baton to your pint-sized chefs who grill an impressive pizza following their VIP kids cooking class. 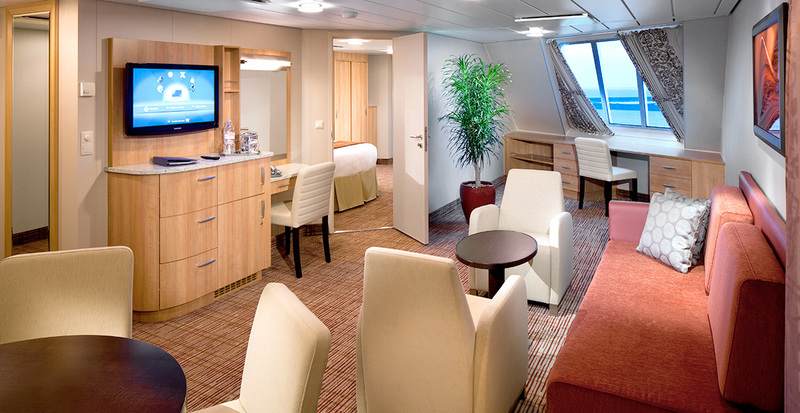 Sprawl out in the 575 square feet of your Family Veranda Stateroom. With two bedrooms and a pullout sofa for even more flexible arrangements, your accommodations can be easily connected to other cabins for a space that works for every group. Though it’s tempting to spend every evening watching the sunset from your private balcony, take the time to sneak out for a romantic evening (or two) with the benefit of in-room babysitting. Contact us today and let us introduce these world-class programs to your family on a sailing to Alaska, Bermuda or Europe.